A French film about the 2015 attacks has been postponed after families complained. A French film based on the 2015 terror attack on the Bataclan music venue in Paris has been put on hold. Ce Soir-La, which follows the fictional romance between a single mother and an Afghan refugee who meet on the night of 13 November as they rescue survivors of the attacks, was in the middle of being edited when it was shelved after the families of those killed in the horrific incident branded the film "scandalous." Claire Peltier - whose partner David was among those killed in the terror attack - told the Agence France Presse news agency that it was "too soon" for such a "painful story" to be told on the big screen. She added: "We are scandalised that such a film could see the light of day so soon after a violent event." The mother-of-two has since started a petition, which has attracted 39,000 signatures, to block the film. France 2 said the film was still being edited and added: "No transmission date had been fixed for the film... which has not yet been seen by the station's management." 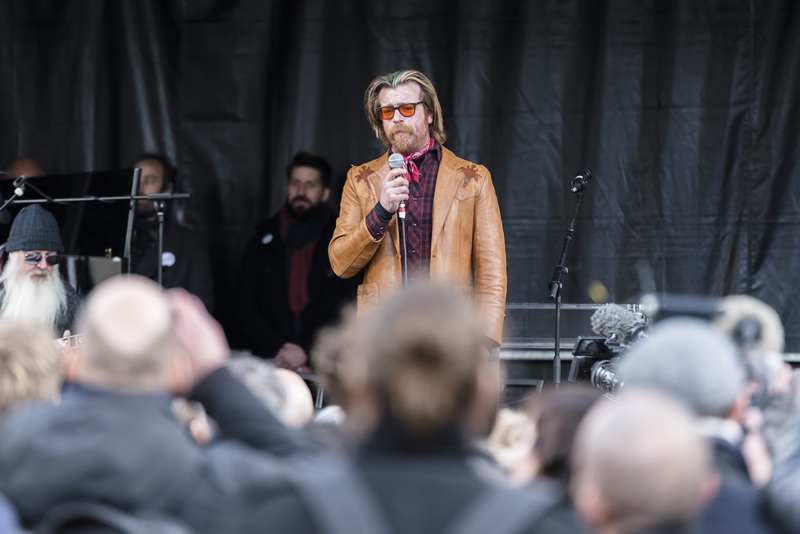 American band Eagles of Death Metal were performing to around 1,500 people at the Bataclan when masked gunmen stormed the venue, firing and the band and their fans, killing 90 people and injuring hundreds. Meanwhile, the band - who cancelled their tour after the shocking incident - returned to the French capital last month for a surprise gig to mark the two-year anniversary of those who sadly lost their lives in the attack. The event was setup by some of the survivors and held at the French capital's town hall in the 11th district. The group dedicated I Love You All the Time and Save A Prayer, which was the last track they performed before gunshots echoed around the venue two years ago, to those who tragically died. Before giving everyone in the crowd white roses as a sign of respect, frontman Jesse Hughes said: "I'm so happy and pleased to see all of you.The only reason we're still standing is because you all still love rock and roll."